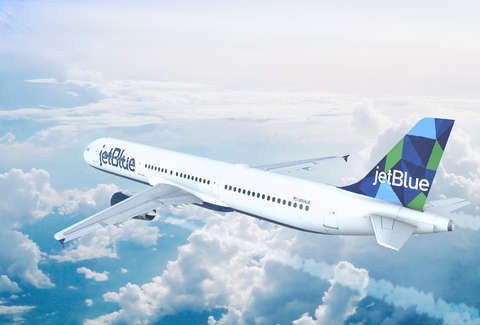 JetBlue -- the popular low-cost carrier with flash sales -- announced April 10 that it will begin its first-ever flights across the Atlantic. Starting in 2021, it will fly from London to JFK in New York and Boston Logan International Airport. The airline will run flights out of both US cities multiple times daily when service begins. JetBlue also plans on keeping the small perks that have made it popular with customers, including more legroom in coach than many airlines, live TV in seats, free wi-fi, and free snacks and drinks. Few details have been announced outside of the cities involved. That includes detailing which London airport will be served and what the cost will be customers. However, the airline appears ready to keep fares in-line with its low-cost reputation. "Twenty years ago, our founders had a simple formula for choosing a new market -- it had to be overpriced, underserved, or both,” Joanna Geraghty, president and chief operating officer said in the announcement. "London is the largest metro area JetBlue doesn’t yet serve from both Boston and New York, and we could not be more thrilled to be changing that in the years ahead. The fares being charged today by airlines on these routes, specifically on the premium end, are enough to make you blush." The new routes won't be JetBlue's first foray into international markets. It currently services nearly two dozen countries from the US, with flights as far south as Ecuador and Peru. However, this will be its first venture into Europe, where it will compete with major airlines. American Airlines, Delta Air Lines, and United Airlines all serve London from New York and Boston. As do a couple of British companies and the budget airline Norwegian, which offers dirt-cheap, no-frills flights from the east coast to London and other European cities. Henry Harteveldt, founder of industry analysis firm Atmosphere Research Group, told the New York Times that this could be a win for fliers. With more capacity, big airlines are likely to try to compete with whatever JetBlue is willing to offer. "The big airlines especially are going to bring flamethrowers to a game of rock-paper-scissors," Harteveldt told the Times. Similar to what happened in Hawaii after Southwest began flights there, fliers could be rewarded with cheap flights in the near future as airlines compete for their business.